Have I got a treat for you! 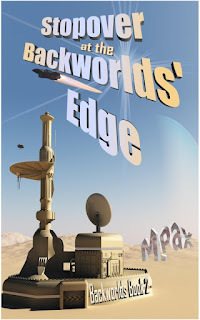 The second book in M.Pax's THE BACKWORLDS series is here. Calling all sci-fi fans especially Browncoats (Firefly loyalists, of which I am one) and Star Wars nuts (Guilty as charged). This is a series for you. The main character Craze is from the same delicious mold as Captain Malcolm Reynolds and Han Solo. Need I say more? Indulge in M.Pax's universe. 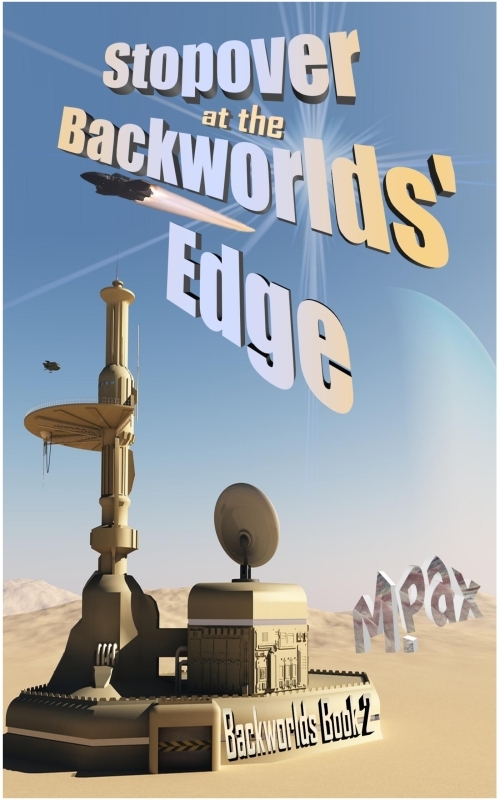 The sequel to The Backworlds is now available. Craze and his friends continue their adventures in Stopover at the Backworlds’ Edge. See what role chocolate plays in the galaxy this time. The interstellar portal opens, bringing in a ship that should no longer exist. A battleship spoiling for a fight, yet the war with Earth ended two generations ago. The vessel drops off a Water-breather, a type of Backworlder thought to be extinct. 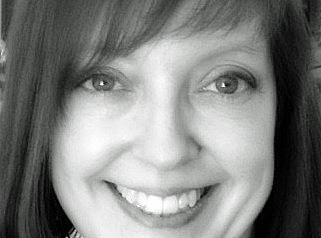 She claims one of Craze’s friends is a traitor who summoned the enemy to Pardeep Station. A betrayal worse than his father’s, if Craze lives to worry about it. iTunes and Kobo will be available shortly. The Kindle version of JOURNEYS OF WONDER, Volume 1, is available for free download until Tuesday, July 24th at midnight from Amazon. This is stuff worthy of supporting. wow, now that's a book I can get behind. Thanks for letting me know about it! Everyone click on DL's link and go sign up for Write Club. Thank you for the links. This is the second time today that I've come across Stopover at the Backworlds’ Edge. It sounds like an interesting read. I'm not a big sci-fi fan, but I do love Capt Mal and Han Solo (oh my!). Good luck to Mary, and congrats on the free Journeys of Wonder! Thanks, Vicki. Mary does such a fab job with character in Backworlds that even the sci fi squeamish would love the stories. 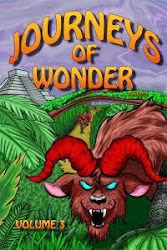 We've had over 1,000 downloads of Journeys of Wonder so far. Oooo. That's a book my older kid would love! Thanks for the rec. Btw, the amazon link didn't work for me? 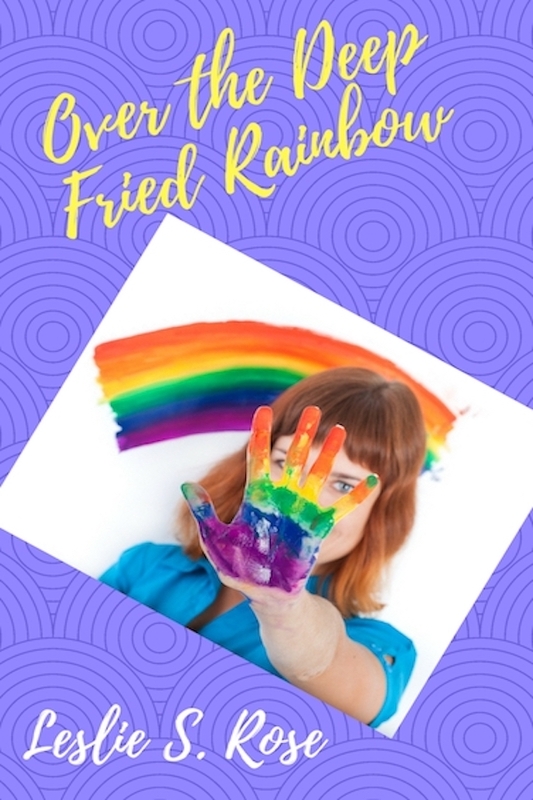 This is the 3rd blog I've read on this in the past two days! Maybe it's a sign that I should check this sucker out, eh? I am so excited for Mary! I just downloaded the first book and look forward to reading it. I love that the second book is out as soon as I am done with the first. I wish her much success! 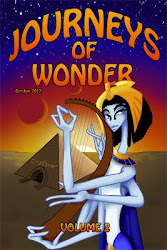 Also- so excited to download Journeys of Wonder. Yeah! And now, you have over 2000 Journeys downloads! 2000+ - Okay, that's an OMG moment. Thanks for the news. Mary's book may be in the Backworlds, but hers definitely is not. She is in forefront this week! Hey Leslie. I read your story "Afterdeath" and thought it was fantastic! You have an astonishing imagination. In fact, I think I'm going to read it again. ;) All the references to the "world" in there are seamless and don't come across as silly or contrived. You just accept them as you read along. That takes skill. This title is new to me. Thanks for highlighting it here, Leslie. M Pax has another book out--first I've heard. Thanks for letting me know, Leslie. Good luck, M Pax! Great news for M Pax! I'm glad I didn't have to wait long for the sequel. Thanks, Leslie! Wonderful news for MAry. She is on a roll! I read your story! 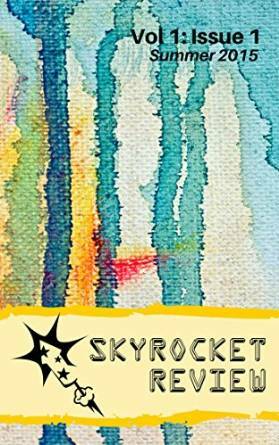 Beautiful heartbreaking - I loved the descriptions of cosmic afterdeath!